Ş.A., a former private school teacher and mother of a week-old premature infant, was taken into police custody over links to the faith-based Gülen movement while she was on her way to the hospital to feed the baby. As part of an investigation carried out by Aksaray Public Prosecutor Ayhan Demir, Ş.A. was detained by police and taken to Aksaray from Şanlıurfa province despite the fact that she produced hospital reports saying she should not travel as she gave birth a week earlier by C-section. She also told police officers that her baby was premature and needs to be fed breast milk and also requires special care in the intensive care unit. When police officers contacted Demir over the phone saying the woman has hospital reports that show she cannot travel, Demir ordered them to bring her to Aksaray and kept her in custody for 10 hours. 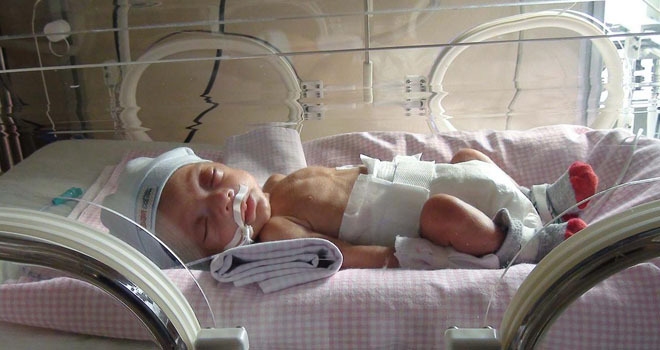 Speaking in Parliament on Wednesday, main opposition Republican People’s Party (CHP) İstanbul deputy Mahmut Tanal that this kind of treatment of a mother whose baby is in intensive care and needs its mother’s protection is unacceptable. Calling on female deputies in Parliament in part of his speech, Tanal said: There are mothers among us. Can a baby in an intensive care unit be separated from its mother? What kind of mentality does that? Which judicial system accepts that? Which ideology embraces that? Despite Turkish Islamic scholar Fethullah Gülen, whose views inspired the Gülen movement, and the movement having denied the Turkish government’s and President Recep Tayyip Erdoğan’s accusation of masterminding a coup attempt on July 15 that killed over 240 people and wounded more than a thousand others, Erdoğan — calling the coup attempt “a gift from God” — and the government launched a widespread purge aimed at cleansing sympathizers of the movement from within state institutions, dehumanizing its popular figures and putting them in custody. Over 115,000 people have been purged from state bodies, in excess of 82,000 detained and more than 41,000 have been arrested since the coup attempt. Arrestees include teachers, journalists, judges, prosecutors, police and military officers, academics, governors and even a comedian. Critics argue that lists of Gülen sympathizers were drawn up prior to the coup attempt.